A new and exciting website has recently been launched for bloggers, designers, and pretty much anyone who wants to built a site using WordPress. You likely spend hours every morning browsing through hundreds of themes on marketplaces like ThemeForest, hoping to find a well-coded theme. MeridianThems is a premium theme shop, where you can find clean / well-designed blogging & magazine themes for WordPress. They currently have 6+ themes and are planning to release 2 more, by end of this year. What’s more, they have partnered with popular hosting providers & other shop owners to offer exclusive discounts on most useful products such as SiteGround Coupon, WPEngine Coupon, A2Hosting, and more. 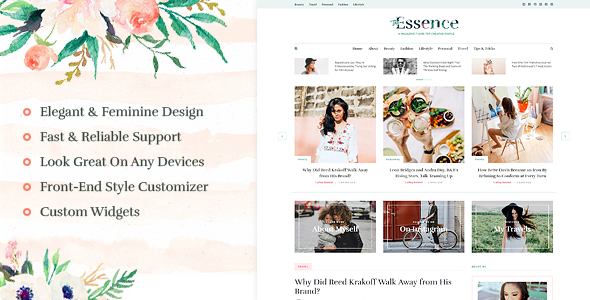 The Essence is one of the most beautiful themes, comes with 15+ unique homepage layouts , responsive design, featured posts area, Instagram photos, and Meridian Styler. Other features include – custom about me widget, classic blog layout, translation ready, WordPress 4.8 compatible, and more. 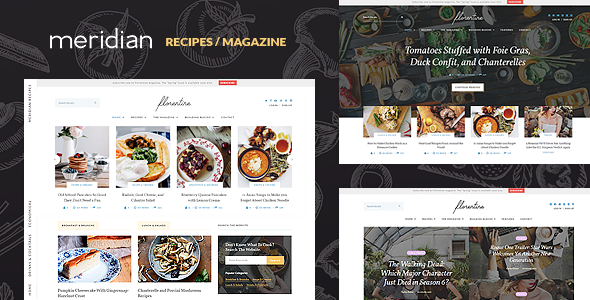 Florentine is a magazine theme perfect for food blogs and magazine sites. The theme comes with many useful features for building a review site or a food blog such as 5 start rating, bookmarking system, distraction free cook mode, print button, custom social widget, newsletter popup model, and more. The theme has 19 different modules to choose from, which means you create a unique magazine site without hiring a developer. 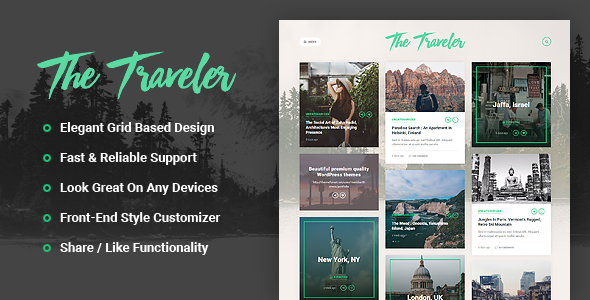 The Traveler is a light-weight blogging theme with minimal features & design language. The theme is perfect for showcasing content, travel photos, quotes, links, using a grid based layout. The theme also comes with a nice social share options and responsive design. All there WordPress themes are compatible with popular plugins such as Yoast SEO, WP Rocket, Gravity Forms, Contact Form 7, Akismet, and Optimus. They also offer a 7 days no questions asked money back guarantee, so at any point, you are not happy with their product, you can ask for a refund.